We took our first steps with processes & forms and liked it. 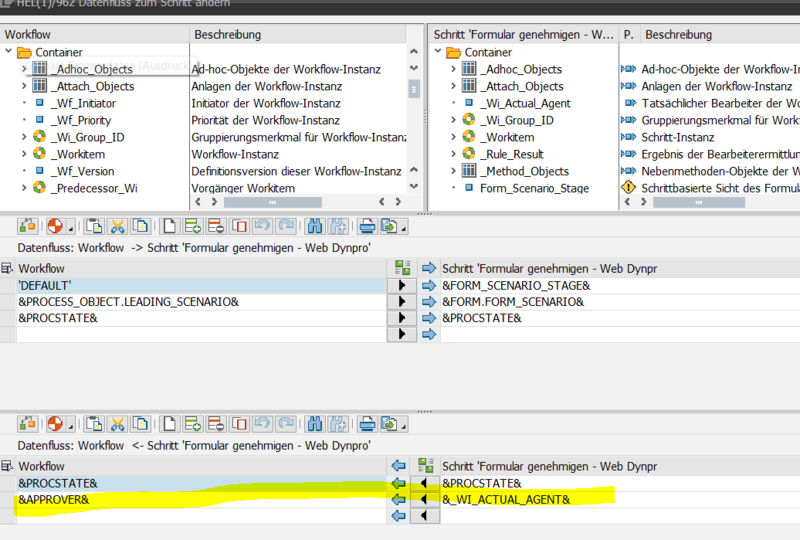 Then someone noticed that the user WF-BATCH is always displayed as the last modifier of the infotype if a process has been approved. This is a bit ugly because you can not see who is responsible for the change within the infotype. In our case it’s about a double approval where the clerk is the last approver. So I decided to implement a soulution for this, so that the latest approver is set as latest modifier instead of WF-BATCH. In my workflow I added the field approver to the container where i hold the actual last approver. 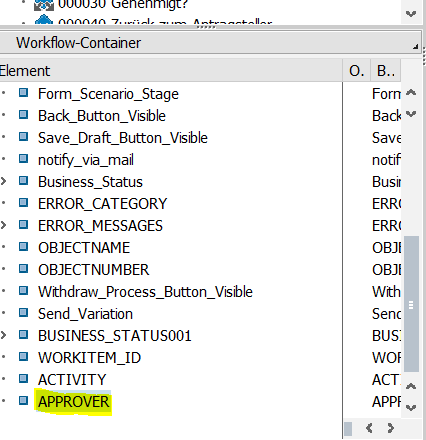 In my last approval step before I save the workflow data I add the approver of the task to the container. 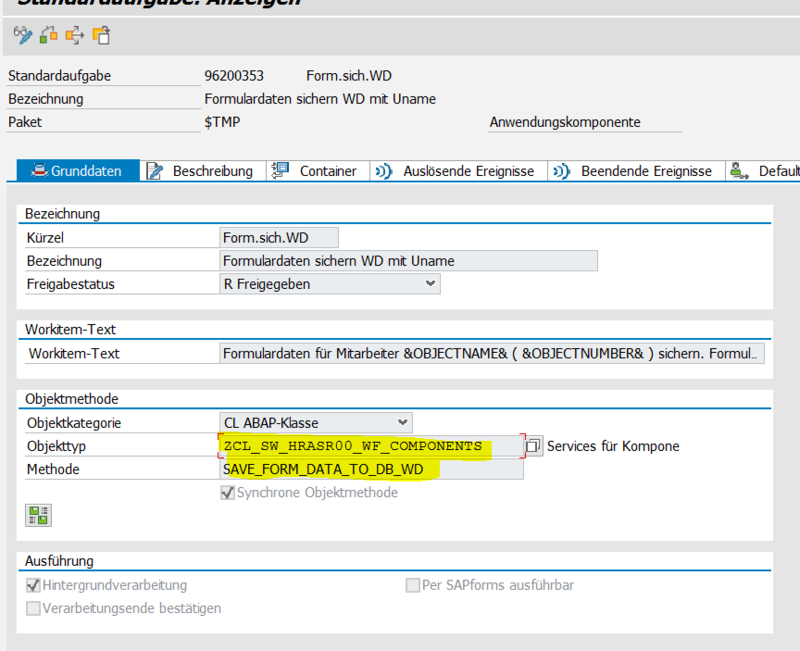 So after that i have to import the latest approver from the container in my task where the data is saved to infotype. sy-uname = conv #( approver_in+2 ). Here the special move is to add approver to sy-uname. 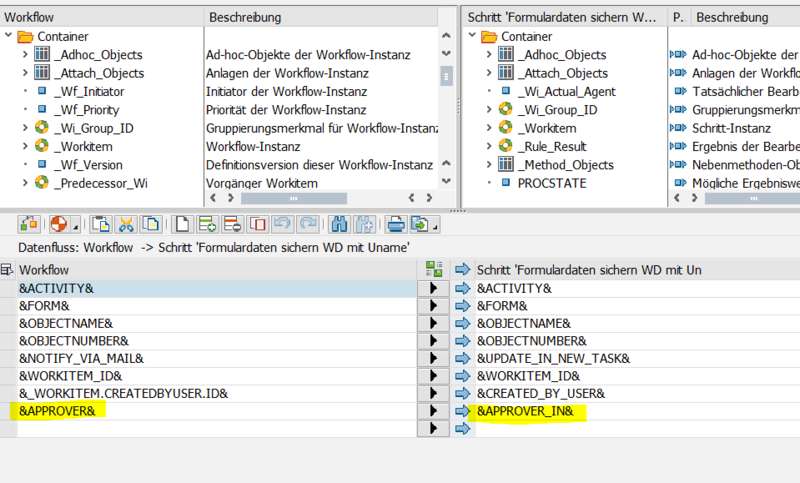 You have to add the approver as parameter to the method before. Nice blog and write up! …..and yes, there are a few ways to do this. This topic comes up in EVERY HCM P&F project I have done. There are always discussions about whether or not having WF-BATCH show as the user who changed data is a good or bad thing. I won’t rehash what you did/said here….because, some clients absolutely insist a “real person” show as the person who “touched” the record. However, here is the argument for NOT doing it that way and using/accepting WF-BATCH (standard behavior). 1. Looking at the record, you have NO idea that it was actually part of a process….ie. MANY people involved and made the decision for the update. 2. Given #1, not clear path to “audit” the update. 3. Given #1 and 2, if you make it part of the training/habit of the users that if they see “WF-BATCH” then they know that it was done as part of a process….and then can take that information to go look at EVERYONE involved (for example, use Process Search to locate the actual process that updated the record). I think this gives the end user a MUCH more clear picture of “why” the update was done more than just “who” did it. …..and in the end, I follow which ever path the client decides…..but it is nice to know they have the options! Thanks again and keep blogging!!!! Not just HCM. There was a question posted just recently how to do similar thing for PO approval. When PO is approved by email, apparently some companies want to see the real user name, not a generic WF/batch user. Thanks for sharing, Sascha Wächter ! Jelena….I clicked “like” on your post…in fact, I clicked it about 10 times and it never updated…..ugggg.